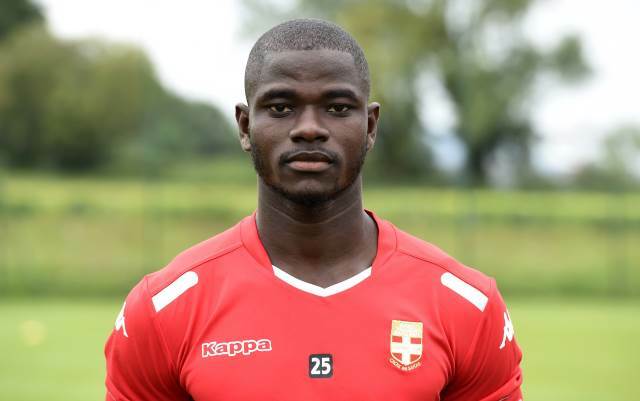 Centre-back Jonathan Mensah has emerged as an injury doubt for Evian Thonon Gaillard’s Ligue 1 trip to OGC Nice this weekend. The defender reported for international duty with Ghana last week, and was named as a starter for the Black Stars in their midweek friendly against Senegal. However, the former Udinese man was replaced by Daniel Amartey during the first-half after limping off the pitch in some discomfort. He didn’t train ahead of Ghana’s second international friendly—the draw with Mali on Tuesday in Paris—and ended up playing no part in that match. Ahead of kick off, Mensah tweeted his frustration at being absent for the West Africans’ second match since the Africa Cup of Nations. The injury means that the centre-back is a doubt for Evian’s Ligue 1 meeting with Nice on Saturday. L’ETG are still in the midst of a relegation battle near the foot of the the French table. After 30 matches they sit only three points clear of 18th-placed Toulouse and will be hoping to drag Les Aiglons—two points ahead of them in 12th—down into the dogfight.